On August 6, 2015 Google updated it’s search results to display three local business results instead of the previous seven on local intent queries. This was known as the “Local 7-Pack.” Google believes reducing the local pack to three business results is a way to provide a better search experience for their users. Impact on Desktop: Google has removed the phone number, Google+ page link, and no longer displays the full address (they only display the street name). 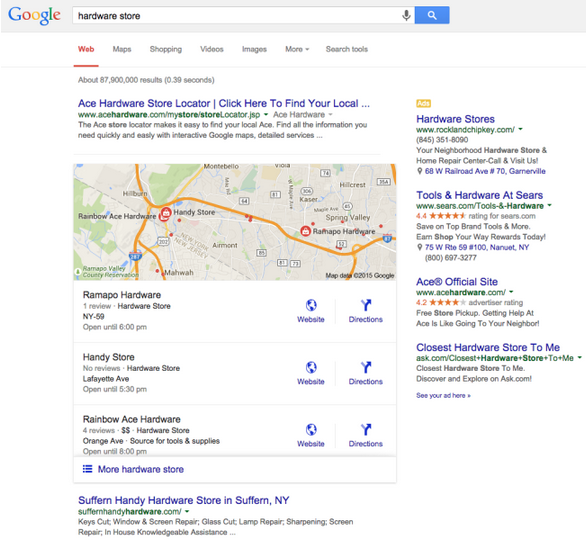 They currently only display the business website link or directions in the local search results. In order to receive more information, you must click through to the select listing. *Note: This impacts local non-brand queries and brand queries with multiple locations in a specific area. 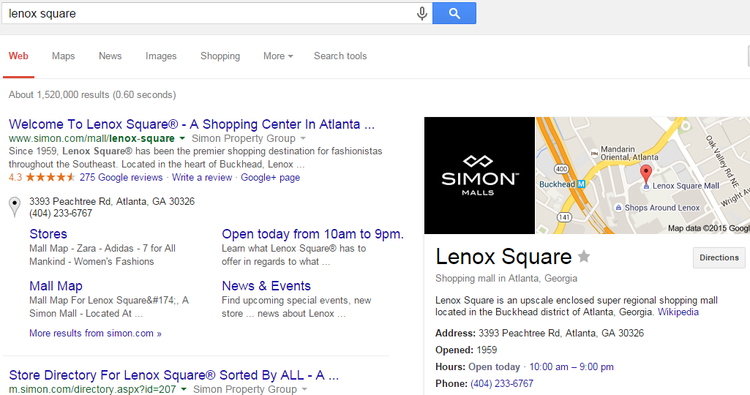 A single location branded query will still display the full address, phone number and Google+ page link. 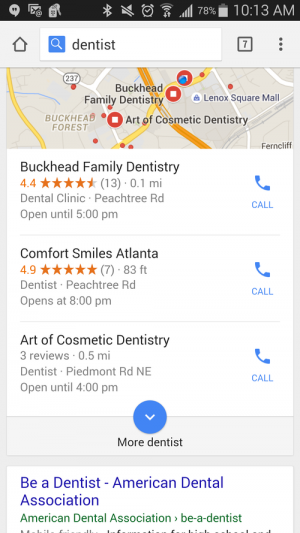 Impact on Mobile: Google has removed directions and the business website link for non-brand queries with local intent. Instead of displaying the full phone number, they only display the “click to call” option. In order to receive more information about a business such as full address, directions, and business website; you must click through to the listing. 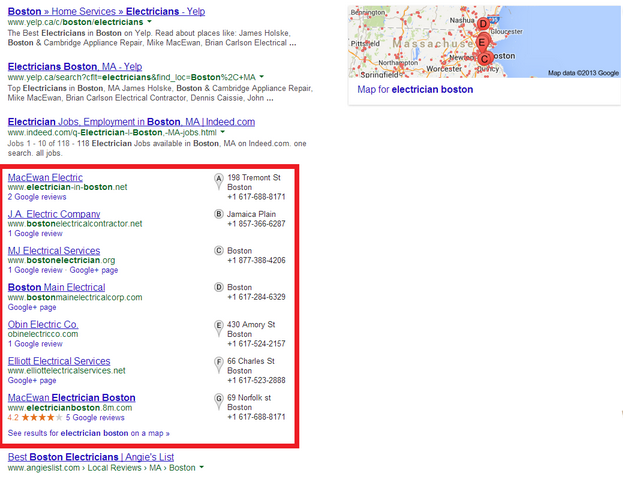 For brand queries that have more than 1 business in a select area, Google displays the “click-to-call” and directions. Single location brand queries are not affected by this update. How will this change affect my business? This may lead to fewer phone calls for the top 3 results and will have an even greater impact on positions lower than 3. However, this will likely lead to more visibility for local businesses lower than position 3 since desktop users have to click through a listing for a phone number. 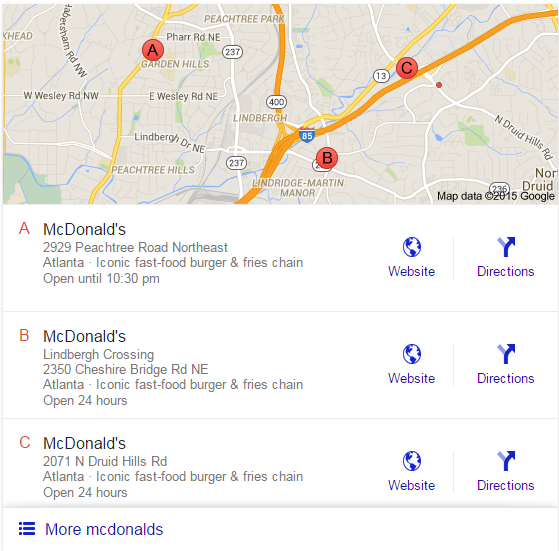 Google displays 20 local business results per page on the new “Local Finder” page, which is at the bottom of the 3-Pack. With this update it is increasingly important to have a strong local SEO strategy in place. The premium 1-3 positions will be awarded to locations and listings that have consistent information throughout the web, strong on-site signals, and quality citations. The local organic positions 4-10 will likely see in increase in click-through rate since they are being shifted higher up the page from a reduction in business listings. RMI recommends implementing a comprehensive local strategy that includes local content, proper site architecture, on-site optimizations, external links, citations, reviews, and consistent information across all location pages. 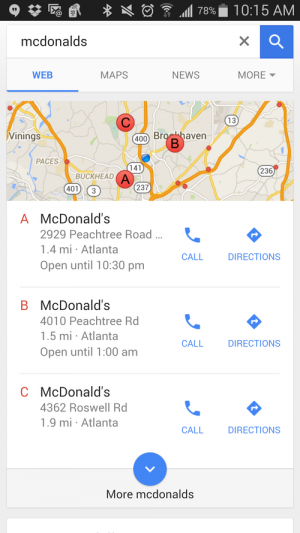 This will ensure the highest rate of visibility for both local organic and maps listings.